The Errol Spence body punch numbers and in particular, this video analysis, paints the picture of how he broke Brook down. Many believe Errol Spence Jr could be the next Floyd Mayweather – but a Mayweather who perhaps is a bit more offensive and looks to finish fights more. Many forget in his early days though Floyd finished plenty of fights. He used some wicked body punching back in the day, too. Alas, he bust he hands up so badly throughout his career that his fight style of combination punching changed to a more pot shot orientated one down it’s stretch, where he also changed his nickname to ‘Money Mayweather’. This past weekend Errol Spence Jr after a rough start gradually got into the fight with Kell Brook and began breaking him down. But his body punching was something he focused on early on. Something he knew would pay dividends – in the end. 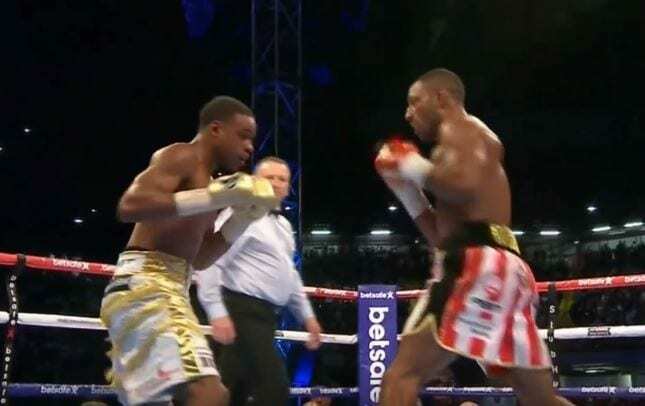 While the above show Spence’s dominance, in the end, the Errol Spence body punch work was something that perhaps went a little under the radar. For those watching carefully during and indeed after the fight though, you’ll know how important it proved to be however.